Are you a diy'er getting ready to pour a concrete slab? 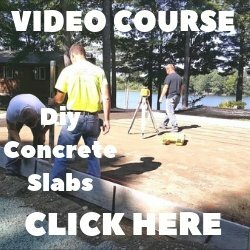 I made this video to help show you how to pour a concrete slab like we do, here in Maine. In the video, we're pouring a 24' x 24' concrete slab for a garage. Because we do this for a living it seems very easy for us, but if you've never poured a slab, I can understand why you may have some questions, now you don't have to be intimidated. I'm quite confident, after watching the video, you'll have a very good understanding of how to pour your own concrete slab. Call the ready-mix concrete company at least 2 days in advance to get your order in. Use my concrete calculator to estimate how many cubic yards of concrete you’ll need. Order an extra ½ yard of concrete to make sure you don’t run out. Make sure you have some help, 3 people is good. Pour first thing in the morning. You don’t want to wait for the concrete truck to get back from someone else’s job. Watch the weather, don’t pour if there is a chance of rain! If you are going to cancel the pour, call the concrete dispatcher before he loads the truck. Make sure you’re 100% ready to pour when the concrete truck shows up. The forms should be set, straightened and backfilled or braced already. Have the right tools to get the slab poured correctly. See my list below. You can rent all these at most tool rental equipment stores. A laser level to make sure the slab is flat. You should have used this to set your forms. Straight Edge – We use magnesium straight edges, they’re very light. You can rent one between 10 and 16 feet long. Bull-Float to smooth the concrete after straight edging. Concrete kumalong/spreader – this is what we push and pull the concrete around with. TIP. The chute on the back of the concrete truck will reach about 18 – 20 feet as you can see in the video. If you’re concrete slab is more than 24 feet deep, you may want to rent a longer chute so you don’t have to pull the concrete too far. TIP. The concrete company only plans on you having their concrete truck for about an hour or less. If you’re not prepared and/or don’t have enough help and take 4 hours to pour the slab, the concrete company will charge you extra! TIP. If it’s really hot, 80’s & 90’s, the concrete will set up/harden very fast, making the pour very difficult. You can ask the concrete dispatcher to add a “concrete retarder” to slow the time it takes for the concrete to harden. TIP. Don’t pour the concrete if the temperature is going to get below freezing that night or the next. If you do pour with freezing temps forcasted, you have to cover the slab with a tarp or plastic & some hay or you might be able to rent some concrete blankets. The concrete will freeze if you don’t protect it, causing all kinds of problems. That's it! You should be ready. 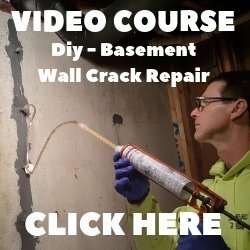 Just remember, pouring concrete isn't "easy", but if you're fully prepared it's "easier" than if you're not. If you need help setting up the forms, see my page about forming a concrete slab.